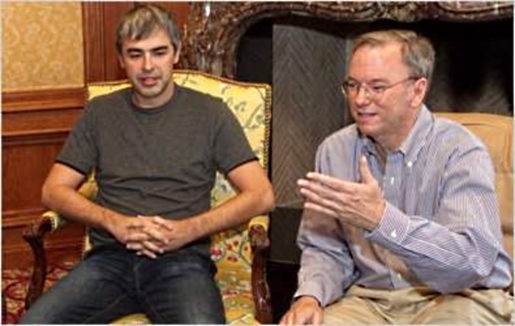 As Google’s now-former CEO Eric Schmidt said on Twitter, “Day-to-day adult supervision is no longer needed.” When Larry Page and Sergey Brin brought Eric Schmidt into Google’s fold, it was to run the company started by two 20-something software geniuses fresh out of college. These days, Page and Brin are both in their mid-30’s, and are ready and willing to take over the reigns of their own company. Google CEO Eric Schmidt is out as of April; co-founder Larry Page will take over as CEO and Sergey Brin will remain president of technology. It is believed that Schmidt will be accepting a position in the Obama Administration when he steps down officially in April. As for Page, he’ll soon find out that being the point man for a billion-dollar corporation will be a lot harder than he thought, but if anyone is ready for the challenge, it’d be him. While Schmidt handled the hard part of building the company, Page will have to handle the hard part of fighting off challenges from Facebook and Apple, as well as lingering old foes like Yahoo, Microsoft, and AOL.